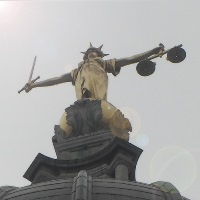 Blog post regarding the upcoming personal injury referral fee ban in the UK on 1 April 2013. 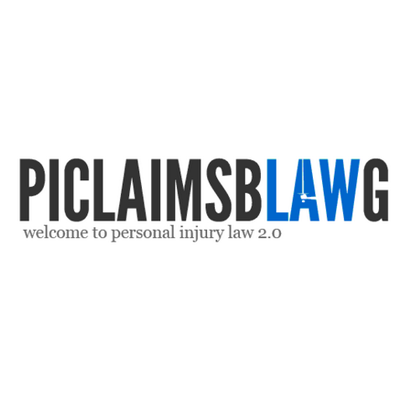 On the first of April this year, the Government is introducing a new law which, one way or another, could have a dramatic effect upon the provision of personal injury compensation. Currently, very many claims of this nature originate when a person contacts, or is contacted by, a claims management company (CMC). Companies of this kind asses the validity of the case and then, if there’s a viable claim to be made, pass the details on to a specialist personal injury lawyer, with a fee being paid for this service. The client in question then works with this lawyer, building the strongest possible case and, hopefully, receiving the compensation which will allow them to start putting their life back together. The decision to ban the payment of referral fees has been driven by a determination to crack down upon what has come to be seen as a ‘compensation culture’. The thinking behind this idea is that the majority of claims for compensation are made on a frivolous or dubious basis and are driven primarily by a desire to ‘cash in’ on circumstances and make some easy money. When urged to back up this line of thinking, people speaking on behalf of the ban tend to fall back on anecdotal evidence, one-off, extreme and highly publicised cases and a rise in the overall levels of compensation being paid. As is so often the case with generalisations and anecdotal ‘facts’ however, the truth can often be somewhat more complicated. The simple truth is that compensation is paid not in order to punish the negligent party, nor to allow the victim to live a life of luxury but rather to ensure that an injury which wasn’t their fault doesn’t end up having a long term detrimental effect upon their quality of life and well-being. Bearing this in mind, personal injury lawyers tend not to want to take on claims of a dubious nature, and the No Win No Fee system merely amplifies this tendency, with only the strongest, most robust claims being worth the time and trouble of pursuing. The overall rise in the amount of compensation paid out, rather than being driven by frivolous claims, is likely to be a by-product of the fact that people today are far more aware of their rights, and realise that an injury suffered thanks to a third party’s negligence is not something which they should simply put up with. A large part of this increased awareness has been driven by the advertising carried out by CMC’s, without which many people would not realise that they are able to claim for the likes of illnesses developed through work and suffering caused via criminal acts. One sector lobbying vociferously for a ban of this kind has been the insurance industry, spokespeople for which claim that a drop in the number of compensation cases will result in a lowering of the premiums payable for the likes of car insurance. One doesn’t have to be particularly cynical to imagine that any drop in the amount of money being paid out will, in truth, result in a drive for higher profits, rather than altruistic passing on of the cut to customers. An example of this phenomenon can be seen in the fact that, between the years 1938 and 2010, the number of casualties per 100 million kilometres travelled in Great Britain dropped from 314 to 42. Alongside this is the fact that, in 1972, 7,700 people were killed on the road whilst, by 2011, this figure had dropped to 1,901. Unfortunately, the increase in safety represented by these statistics hasn’t been reflected in a corresponding drop in the cost of insurance premiums. Allied to this is the simple fact that very many compensation claims, such as for accidents at work, are paid out before the case even reaches court, a fact which indicates the insurance company involved accepted that the claim was just and valid. A successful ban on referral fees will therefore result in a diminishing of public awareness of the issues surrounding compensation, with very little chance of a corresponding drop in the costs of insurance. Not only that, but many experts are agreed that any such ban is pretty much unworkable in practice, with loopholes and caveats still allowing solicitors to pay fees to CMC’s for “the provision of services”. In practice, then, the ban will reduce transparency and accountability by driving the paying of fee referrals underground, whilst greatly reducing public awareness of the factors relating to personal injury compensation.